Here’s a story of yarns that are each wonderful in their own way, but teamed together, become more than the sum of their parts, producing quite different and satisfying fabrics. This is where Shibui yarns really come into their own: the company produces suites of yarns with colourways that cross over. Let’s start with three, from top left below, the Cima, Staccato and Silk Cloud, in the colour Jumpsuit. Cima is a tightly plied fine baby alpaca and merino lace-weight yarn that knits up to a crisp but soft fabric with excellent stitch definition. Staccato is a merino and silk blend, and accordingly has drape, sheen and a touch of luxe that will make any knit that little bit special. Silk Cloud is a dreamy mohair and silk yarn that marries mohair’s gorgeous halo and with a silky sheen. On their own, the three yarns produce beautiful fabrics. But blend them together, and something quite stunning happens. The pic above shows a swatch of Cima (top left), Silk Cloud (top right) and the largest swatch is of both yarns combined. The Silk Cloud adds warp and weft to the Cima: those silky flecks catch the light and give the fabric dimension, and the mohair lends a halo to the finish. The overall fabric is softer than a solo Cima, and has more structure than a Silk Cloud used by itself, plus the most beautiful drape. Lori Versaci’s Veer combines the Cima and Silk Cloud to great effect for a long-line, body-skimming sweater. This racerback tank top has two separate layers connected along the neckline: the smooth underlayer is in Staccato and the top layer is in Silk Cloud for a floaty contrast. 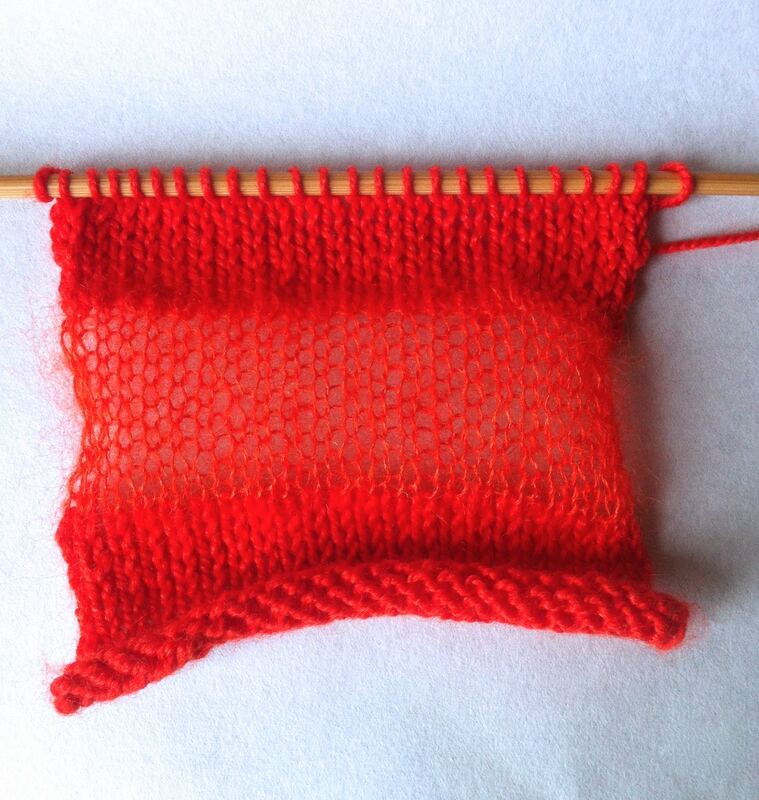 Some knitters have chosen to not join the layers, and use the Silk Cloud layer as a separate cowl. 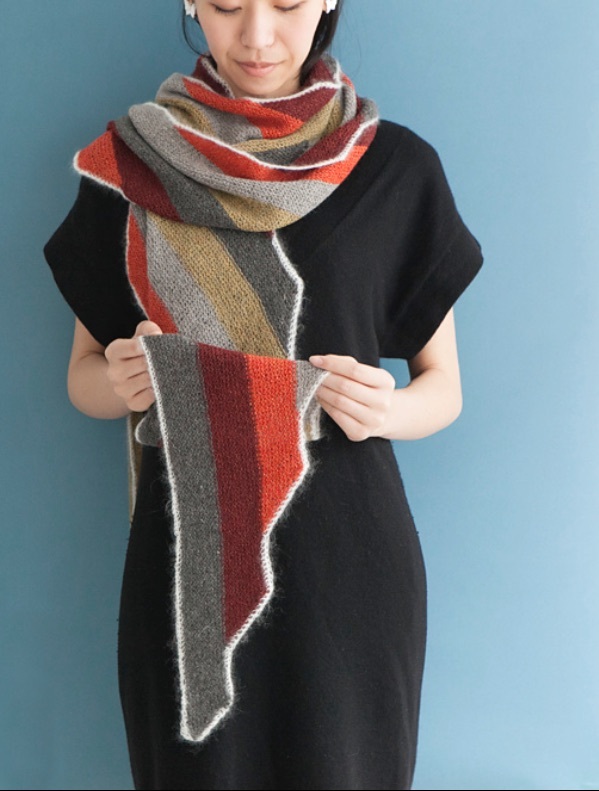 The Staccato and Silk Cloud can also be knit into a simple scarf of solid and airy stripes. Add another yarn in the form of Pebble, and the options expand yet again. Pebble is a sumptuous blend of cashmere, merino and silk which comes together in a tweedy finish. The yarn knits up as deliciously well you’d expect those three fibres to; some of the complementary colours are shown off to full effect in this parallelogram scarf by Stephen West. This Blur jumper by Kirsten Johnstone uses contrasting offset blocks of Pebble and Silk Cloud to give the finished garment interest and a sophisticated polish. Multigrain is a simple seed (moss) stitch scarf that lets two alternating strands of Pebble, Silk Cloud and Cima do the talking. Strata (below) is a variation on the theme, knit in twisted stockinette stitch. Both are studies in texture. 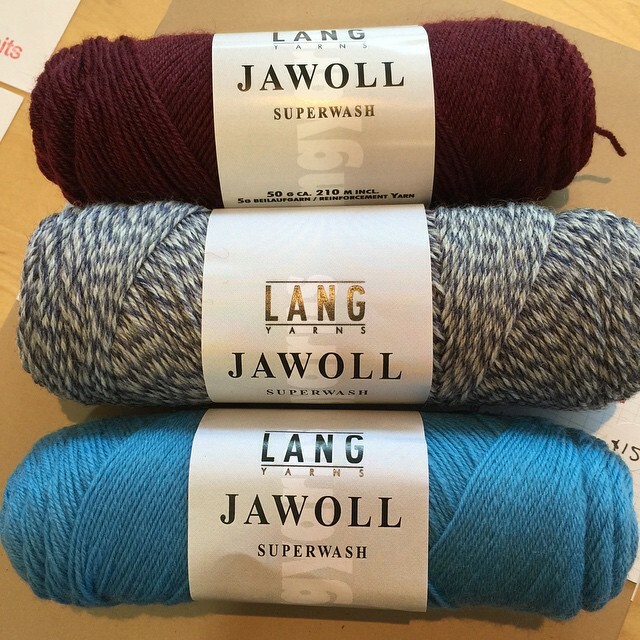 In store news, we’ve just received a favourite of Kylie‘s: the super-hardwearing Jawoll sock yarn, in 22 solid and marle colours. Hmmmm, toasty feet … The superwash wool is reinforced with a touch of acrylic and comes with a spool of nylon for reinforcing the heels and toes. Love it when manufacturers think of extending the durability of hand knits. So, what will you make today? Let us know in the comments below or post your WiP or finished item on Instagram and tag us @sunspunyarns. Categories: Knitting, mixing yarns, Perfect pairing, Yarns | Tags: Cima, Pebble, Shibui, Silk Cloud, Staccato | Permalink. Oh, that’s great that you have Jawoll! I will definitely buy some next time I am in. The colours are fab!